A loose, sagging facial appearance can leave you feeling older than you actually are. Facelift surgery provides hundreds of thousands of women and men with a firm, more youthful look every year. People all around San Diego choose facelift surgery with Dr. Pollack to tighten and smooth their facial skin that has begun to sag and wrinkle. surgery may be the right procedure for you. While there is no minimum or maximum age for undergoing facelift surgery, it is important that you are in good health and have realistic expectations about your results. Candidates often lack attractive definition at the jawlines and have excess tissue that creates the unwanted appearance of a double chin. Some facelift candidates have volume loss along their cheeks or under their eyes, which may be improved by redistributing fat. Potential patients should have facial aging in the lower third of the face. Facelift surgery cannot provide significant improvement to the upper two-thirds, but combination procedures are available if necessary. 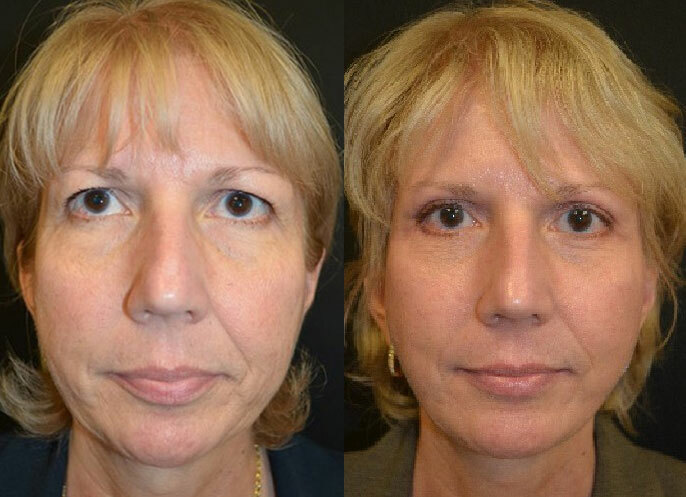 Brow lift surgery may be performed as a standalone procedure or in combination with your facelift. A brow lift is designed to treat a low or sagging brow, which can make us look tired or angry even when we are not. Along with a facelift, it can reduce the furrows in the forehead and minimize the creases that we refer to as “frown lines.” This procedure can be done through tiny incisions in the hairline to avoid placing any visible scars on the face or forehead. Combining a brow lift with your facelift procedure can help you achieve more dramatic, complete, and long-lasting results. Facelift surgery is performed using general anesthesia to ensure the safest procedure possible with no pain for the patient. Dr. Pollack will recommend the best choice for your procedure. How will I feel following my facelift surgery? You may experience bruising, swelling, and redness following your surgery. Drains may be placed to help minimize excess swelling. Mild discomfort following your surgery is common, and it can be controlled by taking an oral pain medication. Most patients can return to work a week after their surgery. You can resume your regular exercise routine after three to four weeks. Most significant swelling should subside after six weeks of recovery, at which time your final results will become more visible. Residual swelling can take up to six months to resolve. Dr. Pollack and his staff will help you decide when you can return to specific activities. 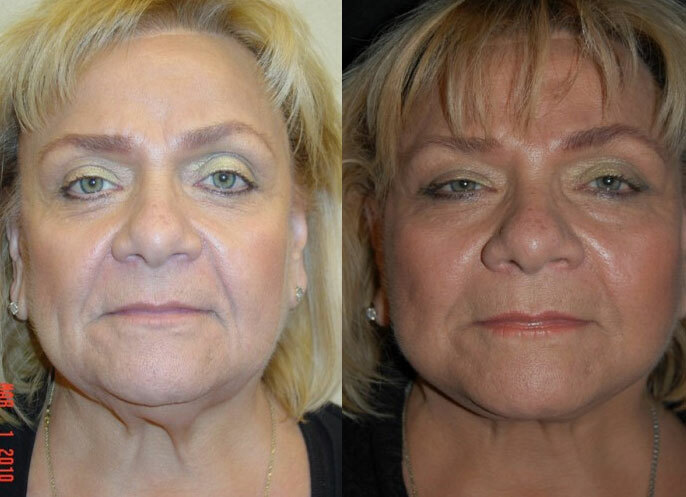 What are the possible complications following facelift surgery? Your risk of complications following facelift surgery is low. Bleeding and infection can occur. Temporary facial numbness may occur in some patients, but it usually does not last. Visible scarring may initially develop along your hairline but is likely to fade over time.